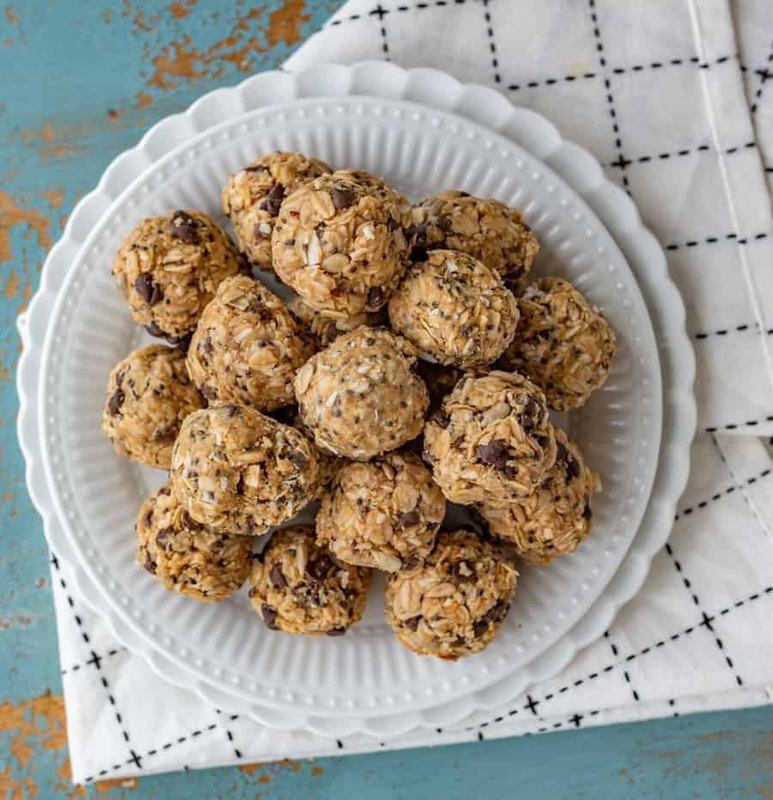 Extra Protein Oatmeal Bites pack a ton of nutrients, fiber, and protein for a well-balanced snack that tastes reminiscent of a healthy peanut butter cup. Anytime I can create a snack that poses as a sweet treat but is secretly full of all kinds of hearty, nutritious goodness is a successful day. 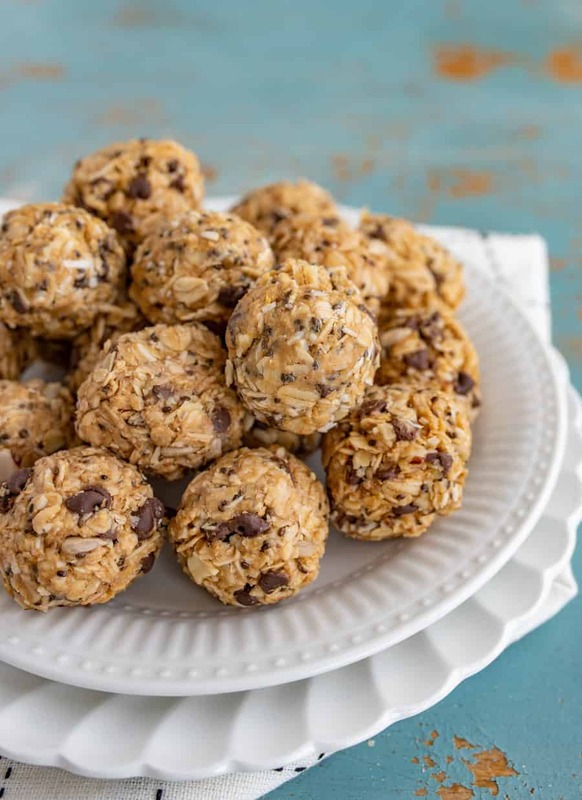 These Extra Protein Oatmeal Bites do just that. With chia seeds, oats, flaxseed, and Vital Proteins collagen peptides, they’re chock-full of healthy fats, protein, and complex carbs. Collagen peptides come in a powder form but contribute no additional taste or texture, making it the ideal boost of protein that’s undetectable to children. I’ve been using Vital Proteins collagen peptides for years, and love how it supports hair, skin, nail, and joint health. Flavors of honey, peanut butter, and mini chocolate chips keep things fun and delicious. This is a perfect, easy, and well-balanced snack for post-workout, kids going to sports practices, or in between meals. 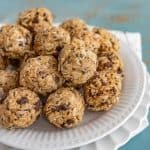 Are Extra Protein Oatmeal Bites good for you? Yes! The boost of protein increases metabolism and complex carbs provide energy, while the healthy fats and fiber make these a filling form of sustenance. All around, these provide a balanced assortment of nutrients and secretly healthy ingredients, and they taste seriously incredible. How long do oatmeal bites last? In my home, they don’t last long because little hands get to them so quickly. Ideally, they’ll last in an airtight container in the fridge for up to 2 weeks, and much longer in the freezer! 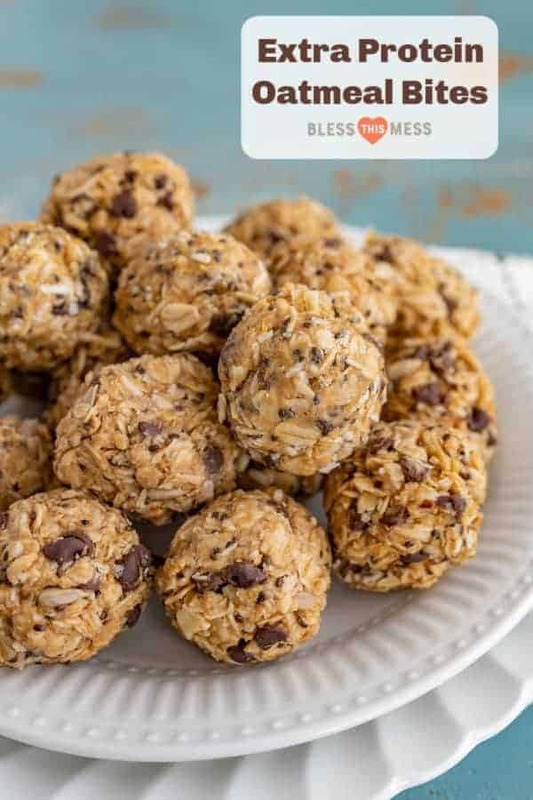 Can you make Extra Protein Oatmeal Bites without peanut butter? You sure can. If there’s a peanut allergy in your home, or if you prefer a different flavor than peanut butter, swap in another nut butter that is similar in consistency to peanut butter. Some cashew butters or oat butters have a good thickness to them. The peanut butter with honey is what makes all the dry ingredients stick together in a ball, so you don’t want to choose anything too runny. Add the peanut butter and honey to a medium bowl, and stir to combine well. Add all of the other ingredients, and mix to combine well. Stick the bowl in the fridge and let it chill for about half an hour. This resting time helps to ensure that the balls will stick together when rolled. After the chilling time, take a large tablespoon of the mixture in your hand, and roll into a ball. Repeat with remaining oat mixture. If your balls aren’t sticking together after the resting period, you can add a little more honey or peanut butter, stir well, and try rolling again. Sometimes, it just needs a little more of the wet ingredients to hold together well. And the moisture in the peanut butter will depend on the brand/type that you use. Store in an airtight container in the fridge for up to 2 weeks or in the freezer much longer. 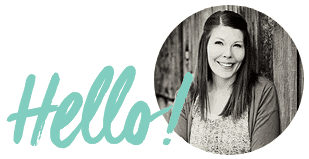 New to collagen peptides? I’ve been using Vital Proteins brand for a few years and love it. It’s great for hair, skin, nails, and joint recovery. The best part is that it adds no flavor, texture, or sugar to this recipe–just added protein. This is the only protein powder my kids will eat without detection! 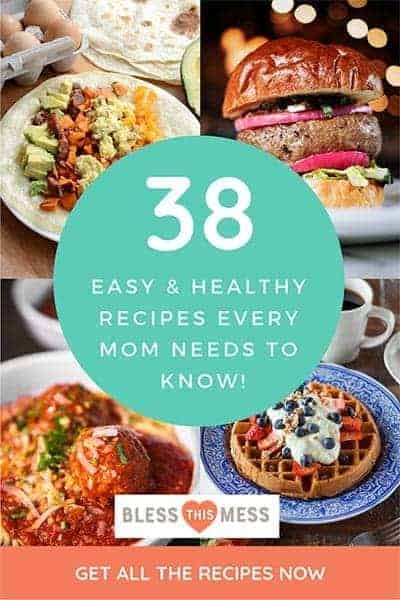 You have lots of flexibility with this recipe. Don’t like coconut? Skip it! Add a few nuts instead of the chocolate chips, or toss in your favorite dried fruit. The goal is to get enough peanut butter and honey to get everything to stick together, so adjust accordingly and enjoy. These look so yummy! I think I’ll make them this week! Your kids will love them to V-ron! I can’t wait to hear about it! What does callagen peptides do you for you? The collagen peptides add protein without changing the flavor. They’re great for hair, skin, nail, and joint health!